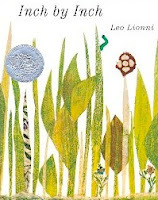 Leo Lionni is the author and illustrator of four Caldecott Honor Books; Inch By Inch (1961), Swimmy (1964), Frederick (1968), and Alexander and the Wind-Up Mouse (1970). He may have been one of the first children's book illustrators to use collage and his artwork inspired some of the greats like Ezra Jack Keats and Eric Carle (Schulman, Random House). I read countless biographies this week about the life of Leo Lionni. It is funny how each biography provides a little different angle on the person's life which helps you better understand them. The biography piece that resonated with me and will become the basis of this post was written by Lionni's granddaughter, Annie (click here to read the article). She mentions in her short biography that she feels that the heroes in some of Lionni's most famous books reflect her grandfather. This got me thinking about the book Frederick. In this story, Frederick is a mouse that lives near a farm with his family. As winter approaches everyone in his family is busy preparing, but Frederick is not gathering corn and nuts like the others. He is questioned about his lack of work, but Frederick responds that he is preparing for winter by gathering sun rays, colors, and words. The mice continue to work and then winter settles upon the farm. Winter passes by comfortably until the resources are used up. The mice turn to Frederick for help. Frederick bestows the sun rays that he gathered to keep the mice warm, the colors to give them something to imagine, and words to give them something special to hear. Annie doesn't elaborate on why she thinks her grandfather is Frederick, but I see some similarities. Many of Lionni's books focus on nature. Lionni gleaned many ideas from nature -- just like Frederick, he spent time appreciating and gathering the sun's rays. In the book Swimmy, a creative fish rallies a bunch of other fish to group together to prevent the larger fish from eating them. In the book, Inch by Inch, a quick thinking inch worm outsmarts a nightingale. In the book Fish is Fish, a small fish wishes he could be a frog to get out the water and observe everything the earth has to offer. In the book, A Color of His Own, a chameleon wishes to have a consistent color, but realizes that he can't change the way he is but makes the best of the situation. All these books are examples of Lionni gathering what nature had to offer to share with his readers. Leo Lionni's career did not start as a children's book author and illustrator. He received a doctorate degree in Economics, but landed in the field of advertising because of his knowledge of business. He eventually wanted to move away from the field of advertising after his success. He took time off to study mosiacs and delve deeper into his art, something he loved to do since he was a child. Good fortune lead him to earn positions as an art director for high profile magazines like Fortune and Print. He succeeded producing wonderful layouts for these magazines until he was 50 years old and then decided to once again take a break. At this time he moved back to Italy. When he was on train with his grandchildren, his life took another turn. His grandchildren were restless on a train with him and he quickly took out a magazine, tore a colored page into shapes, and made up story. 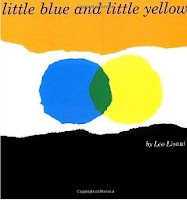 This imaginative use of colors led to his first children's book, Little Blue and Little Yellow. Lionni shared colorful images with his grandchildren to engage their minds just like Frederick did with his family. Lastly, remember that Frederick gathered words to prepare for winter. Frederick took the words he gathered and arranged them into a wonderful poem at the end of the book about the four seasons that amazes his family. Lionni wrote and illustrated more than 40 children's books before he died in 1999. This week my family read ten Leo Lionni books. Our favorites were Theodore and the Talking Mushroom and Alexander and the Wind-Up Mouse. The words of these stories will continue to be loved by children and families for a long time. We tried our hand at collage. 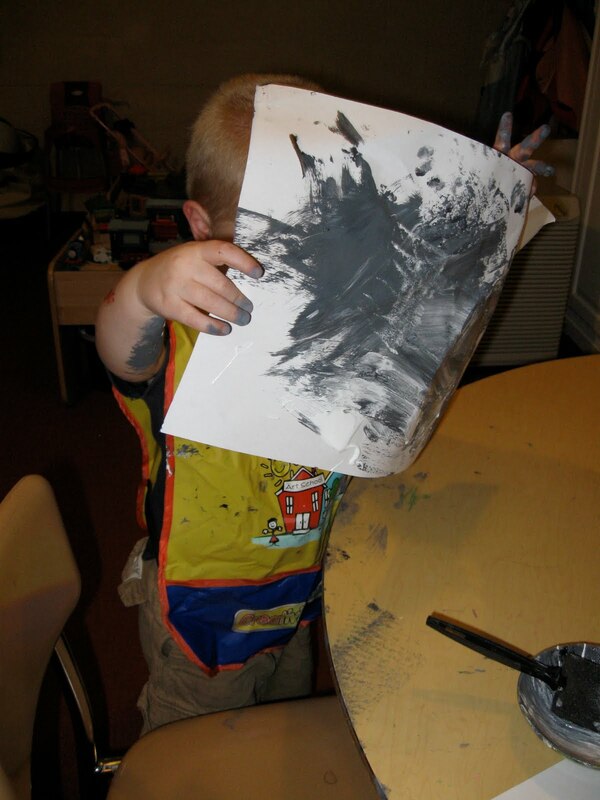 First, my son painted plain white paper with gray paint that we made by mixing black and white. We used a paint brush, sponge, and plastic bag to give different textures to the paint on the paper. The next day, after the paint dried we cut out shapes from our gray paintings and used some construction paper add details. We glued the shapes together and in the end we had Despereaux Tilling from Tale of Despereaux by Kate DiCamillo (My daughter made this one), a baby mouse (my son made this one), and Frederick! The kids and I enjoyed doing this project, and it made me appreciate Lionni's collage illustrations that much more. 1. Lionni Website by Random House (Great Videos on the Homepage - How to Make a Mouse, Biographical info!) - Great Activity Pages too! My kids and I love Leo Lionni! Fish is Fish is our favorite book. It's nice to learn a little more about him.